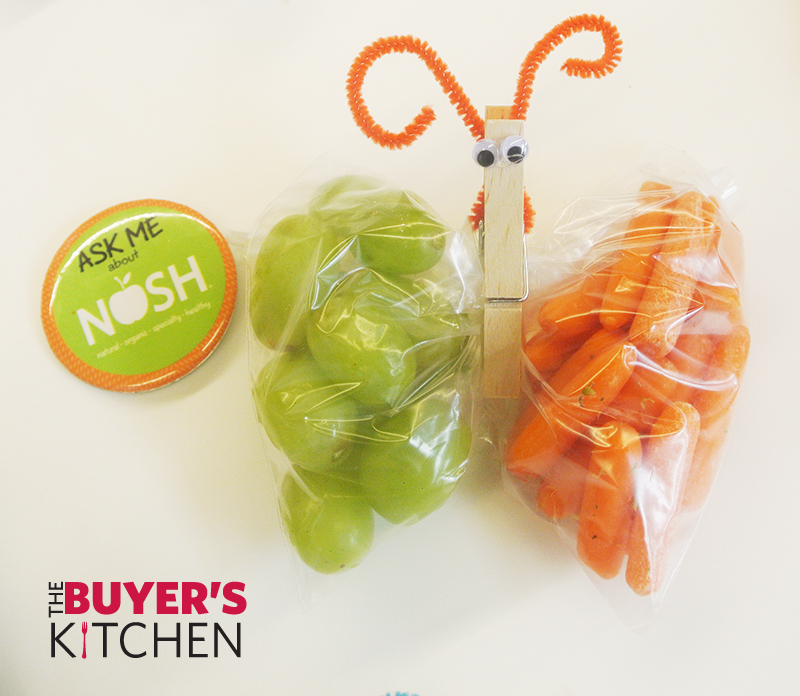 NOSH Back to School Lunches! These delicious recipes from the Grocery Outlet Buyer’s Kitchen are created by our NOSH buyers. They work hard to scout out the highest quality and most varied selection of NOSH products at the best prices possible! As they find tasty NOSH items, they develop these recipes to share with you. Enjoy! 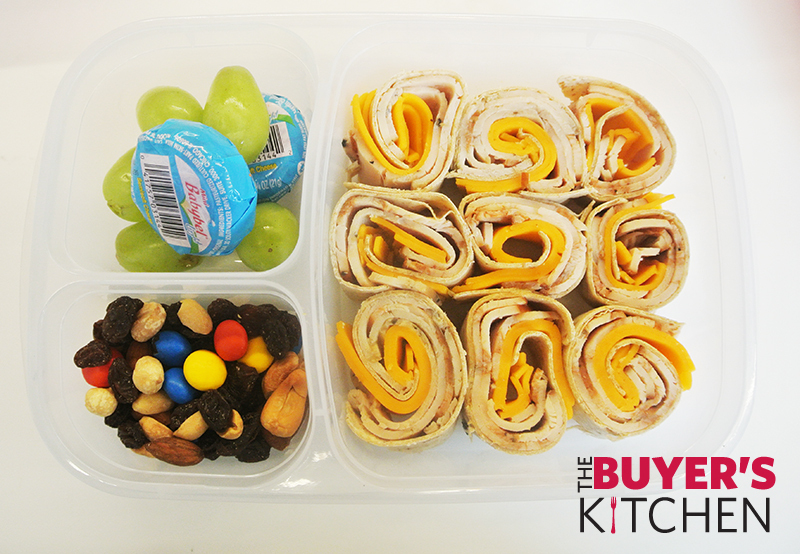 Getting back into the swing of school calls for some new fresh, fun, and healthy lunch ideas! 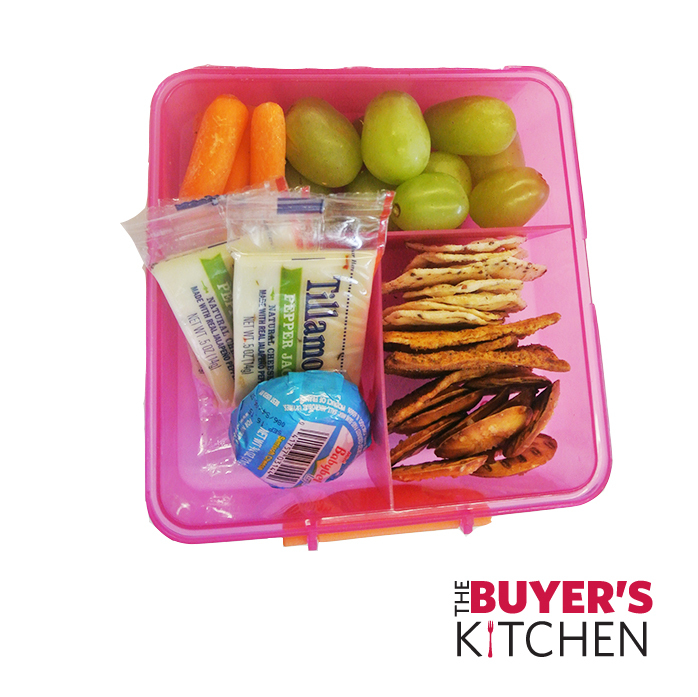 Bento boxes are a great way to add a variety of healthy foods to keep your kids happy & healthy throughout the day! Creating faces and adding bit of personality to regular ol’ sandwiches is a great way to disguise and incorporate extra fruits and vegetables. All of these inspirations are versatile in terms of ingredients. 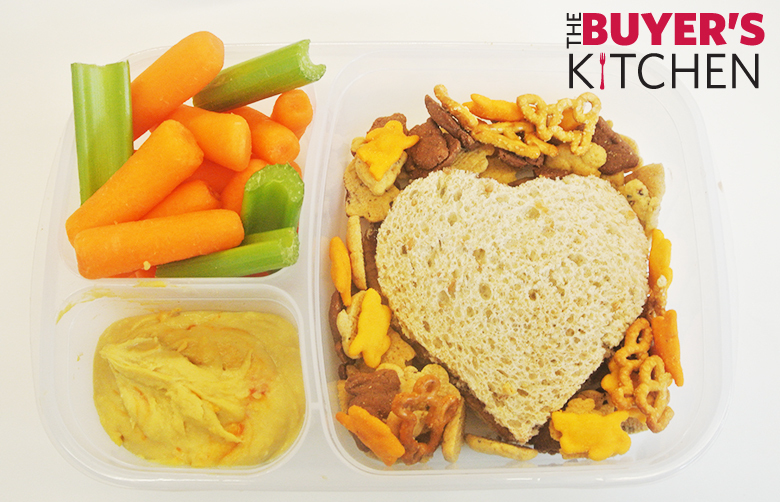 You can create these “bento friends” with your child’s favorite sandwich variety. We recommend sticking with whole grain breads and tortillas. A great substitute for a traditional sandwich is a wrap! We have cut our wrap into mini “Sammy Sushi” bites and stacked them in our bento. If you have a child with a more adventurous palate, try a flavored spread instead of regular mayo. Large cookie cutters are a great way to spice things up AND cut crust off your everyday sandwich! We used 4” shapes which provide a perfect sized sandwich for kids! Got an anti- sandwicher on your hands? No problem! Simply wrap the pipe cleaner around the hinge of the clothespin and twirl the ends to create an antenna and glue on the eyeballs. ** If using hot glue make sure Mom glues on the eyes. 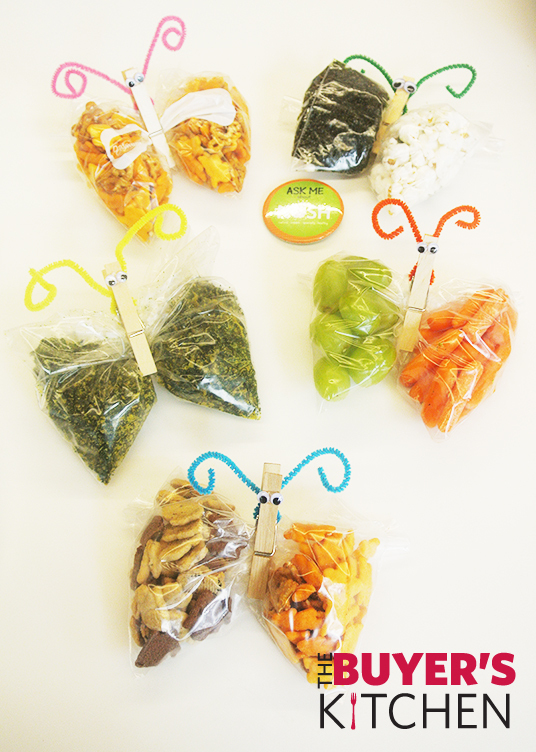 Fill a sandwich size bag 1/2 full with your desired healthy snack, seal, and fold with zipper facing backwards. Clip the bag in the center and voilà!